(CNN) A Wisconsin teenager accused of stabbing a classmate in 2014 to win favor with a fictional internet character named "Slenderman" has been ordered to spend 40 years in a mental institution instead of serving jail time. Geyser's sentence was handed down after a day of testimony from expert witnesses about the teenager's progress in psychological treatment. While she has made progress, according to the experts, Waukesha County Circuit Judge Michael Bohren determined she needed further treatment. "We can't forget what we are dealing with. And we can't forget that this was an attempted murder," Bohren said when announcing his decision. He also noted the crime was premeditated. Geyser's defense attorneys had argued the teenager was a first-time offender who needs treatment but could be reintegrated into the community. "She shows remorse," said Anthony Cotton, one of Geyser's defense attorneys. "I think the remorse demonstrated that she is not a sociopath." "I never meant this to happen," a tearful Geyser said. "I hope that she is doing well." 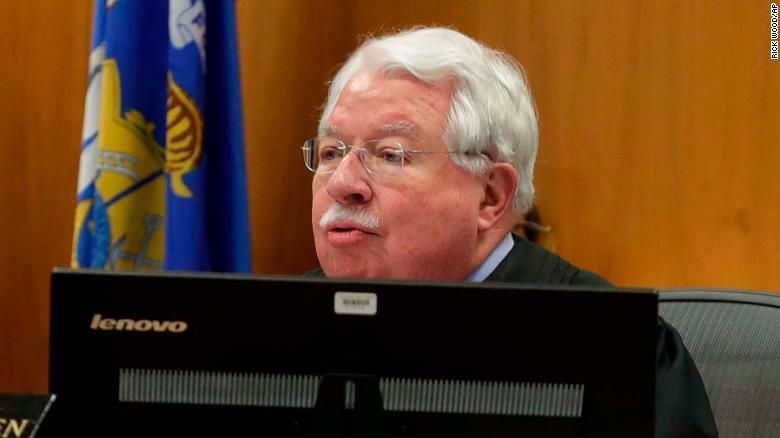 Waukesha County Circuit Judge Michael Bohren noted the crime was serious and premeditated. Geyser was diagnosed with schizophrenia a few months after the attack, CNN affiliate WISNreported.CNN does not typically name minors charged with crimes, but it makes exceptions if they are charged as an adult, as were both Geyser and Weier. In August, Weier, then 16, pleaded guilty to attempted second-degree homicide due to mental illness or defect as part of a similar plea agreement stipulating she would accept commitment to institutional care. In December, a judge ordered her to 25 years in a mental health facility.